Just back from Europe and looking at a bill that dwarfs your mortgage payment? Whenever I travel overseas I have activated my VODAFONE RED International Roaming Plan which means that I am automatically charged $5AUD extra per day if I make any phone calls etc whilst overseas on that day. If I don’t use the phone that day I am not charged. The real beauty is that I can call ANYONE in Australia on mobile or landline and talk to them or surf the Net, or make local calls in the country I am travelling through as per my normal phone plan and all I pay is $5 extra to do so. There are 47 countries you can use this plan in. So check first – see the link here. I know Optus and Telstra offer similar plans but not for as cheap. Here are some International Mobile Phone tips for travellers – especially Australian travellers abroad. FIRST THINGS FIRST: Get GLOBAL ROAMING ACTIVATED on your phone. Your mobile phone will be as useless as a house brick overseas if you have not done this. Go into your service provider shop (Telstra, Optus, Vodafone etc) and ask them to do this. It takes a few days so don’t do it on the way to the airport! Now, remember when you are overseas, if somebody calls your mobile from home (eg:Australia), in some cases you’re paying dollars a minute just to receive that phone call. The caller is charged the standard call rate while YOU the traveller are charged for the international portion of the call. So, firstly, let all your calls from Australia go straight to voicemail. In Settings make the ring time very short so that all calls go to Voicemail immediately. Make sure you change your voicemail message so it says you are overseas till such n such a date and ask the caller to TEXT ME ONLY if it is urgent. Another really handy iPhone feature that I have permanently switched on is: SETTINGS, DO NOT DISTURB. That way, as I have elected to sleep between 10.30 pm and 7.30 am my phone will not wake me if any texts or calls come in whilst I’m slumbering. The calls and texts are registered but silent. You can also elect to keep calls coming in from your Favorites if they are your nearest and dearest. Also very importantly; Disable data roaming on your mobile phone in Settings, regardless of whether you are using an Australian or international prepaid SIM card. Two of these Apps work on both iPhones and Android phones. When you are overseas all you need to have to use them for free is FREE WIFI. Ask your hotel, the cafe etc what the UserName and Password is for the WIFI access and off you go. VIBER: for free phone calls. You download this free App from your iPhone or Android (non Apple) phone. Then it will give you a separate contacts list of all those people in your original Contacts List who have also joined Viber. You can then connect via wifi (hotel or cafe) and call any of them for free – if you are connected to a free wifi network overseas – So ensure your loved ones have downloaded and joined VIBER so that you can call them when you are overseas when you have a free internet connection. You can also text them for free too using VIBER if they have joined viber. 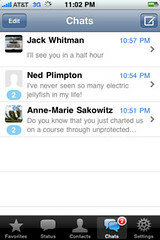 Then it will give you a separate contacts list of all those people in your original Contacts List who have also joined WhatsApp and you can text them for free – when you are connected to free internet via wifi. So take a photo of that lovely beach or mountain and send it to them via WhatsApp for free! 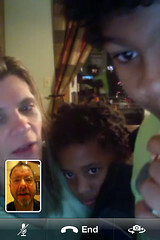 FACETIME: This is Apple and iPhone 4 only but it is fabulous as it allows you to call anyone else with an iPad or an iPhone 4 who uses Facetime (when you are connected to free WIFI) and you can also use the camera to show them where you are and see them. You can use this on your iPad too. Great for when you are on holiday at a glorious location and you want to upset those at home at work! And of course there is always SKYPE which uses free WIFI and you subscribe to Skype, open an account and then you can call anyone for free. Messenger on Facebook is your other option too. This is only useful if the people you want to message are all on Facebook and regular users. That rules out many of the over 40 age groups! Get your handset unlocked before you go. In order to use a foreign SIM card, you’ll need to ring your telco and make sure your mobile phone is unlocked. Telstra, Optus and Vodafone all provide free unlocking for most mobile phone customers, even if you’re still within your initial contract period. Don’t leave it to the last minute, though — it can take five to 48 hours for the unlock to go through. You have to get a different SIM card while you are still in Australia, put it into the iPhone, and sync it with your computer in order to complete the unlock through iTunes which will give you a message saying that the phone has been successfully unlocked. If you have already unlocked your phone through iTunes, you could buy a prepaid SIM card when you arrive at your destination and use this instead of your Australian SIM card. If you use a prepaid SIM card BUT remember! you will have a local phone number and will be charged at the local call rate instead of the international roaming rate (which is often very expensive!). 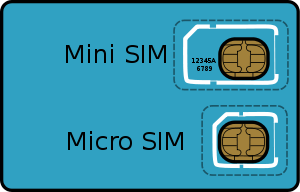 Another tip: the iPhone 4 uses a different size SIM card to every other phone in the world — a “Micro SIM”. Some great information here for anyone travelling abroad, written by my old school pale, Kate. Thanks for the great info! I’ve been so frustrated trying to use my Aussie iPhone in France and Italy cos I’ve been worried about losing my iPhone music when I unlock and restore to use the international SIM card I bought. I’ll give your tips a try – fingers crossed! I am reblogging this post I wrote a couple of years ago on using your Mobile Cell Phone overseas as I have added some important new info that may help some users. It certainly helped me!